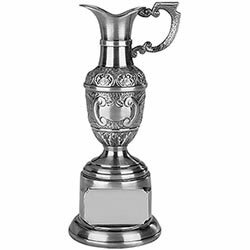 Highly detailed Atlantic Golf Cup trophy. 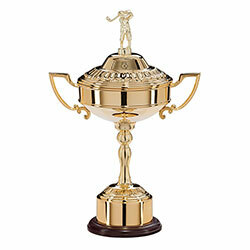 305mm polished gold coloured cup and matching base with golfer lid. 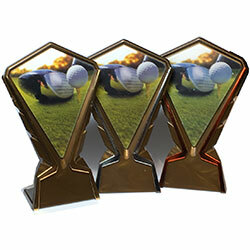 An ideal first prize award for your golfing event. 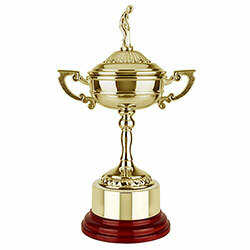 For an annual golf cup, the name and year of the competition can be engraved on the base.